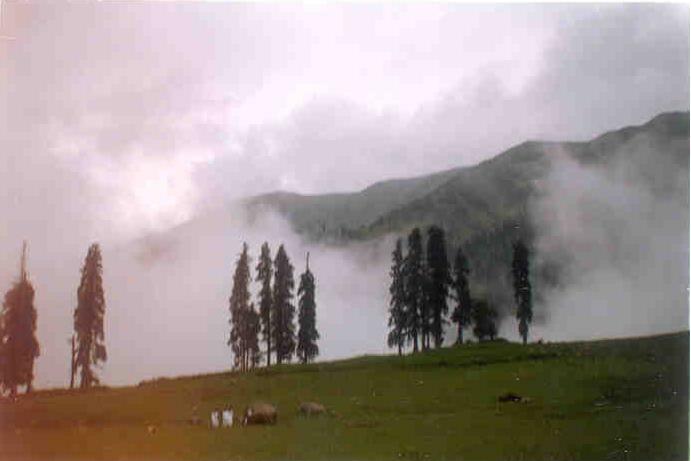 The valley of Gulmarg, a large meadow about 3-sq-kms in area, stands at 2,730 metres, 56-km south west of Srinagar . The name means 'Meadow Of Flowers' and in the spring it's just that, a rolling meadow dotted with countless colourful Bluebells, Daisies, Forget Me Not's and Buttercups. The valley itself is about 3-km long and up to a km wide. A ll around are snow-capped mountains, and on a clear day one can see all the way to Nanga Parbat is one direction and Srinagar is another. 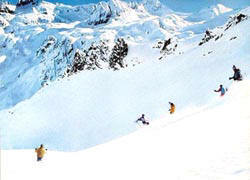 It's a popular day trip from Srinagar to Gulmarg, although many people extend their stay or use it as a base for trekking. The road from Srinagar rises gently towards the lower slopes of the range, passing through rice and maize fields. Reached from the Tangmarg road, or from the Outer Circular Walk, this mountain stream meets the Bahan River at a popular picnic spot known as 'waters meet'. The stream is reputed to be particularly good for trout fishing; it's about five km down the valley from Gulmarg but quite close to Tangmarg. The river can be reached by walking 3-km down the path from the gap near Tangmarg and then heading south through the forest, down a slope towards the stream. One can continue on from here to Tosa Maidan, a three day, 50-km walk to one of Kashmir's most beautiful Marg's, crossing the Basmai Gali pass at about 4,000 metres. The track here is very close to the ceasefire line with Pakistan and on the right one will pass the Jamainwali Gali, the pass at 4,000 metres is one of the easiest and safest routes into the Punjab. 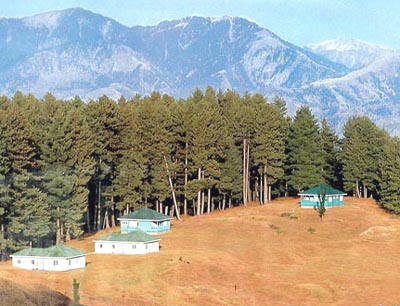 Air: Gulmarg is in Baramula District and is 56-kms from Srinagar District . The nearest Airport from here is situated in Badgam District, which is well connected with all the major cities of the country. Rail: The nearest railhead is at Jammu. Road: The journey from Srinagar to Gulmarg takes approximately 2 hours in bus and may take short time by chartered conveyance. The road to Gulmarg is very beautiful and is lined with poplar trees all through. 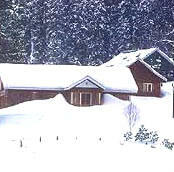 All sorts of transport are available to Gulmarg from Srinagar bus stand at Batmallo and from private transport operators.